Read 2 times. Last read April 14, 2018 to April 16, 2018. Okay, this was a very different feeling reading this the second time around. Still very enjoyable but I didn't LOVE it like I did the first time around. Five and a half years later, I've read a loooot of books (like literally 500 books since then!?!? That's insane to think about.) so I've read so many things. This was still a very solid novel and I've really been thinking about finishing the series ever since. I was intimidated by the second book because it was so large so I did an audio re-read of TDM (thank GOODNESS because I remembered almost nothing, not even exaggerating) and starting on with the rest of the series, finally! Nearly perfection. I absolutely loved this book! I felt like I made a really good connection with the characters, it was a fascinating story line, and full of action. I'd recommend it to anyone! Review originally posted on The Book Addict's Guide: I really, really enjoyed this book! I wasn’t quite sure exactly what I was getting into when I started and I have to say, I’m pleasantly surprised!! 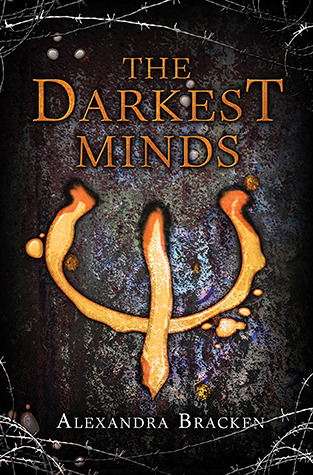 THE DARKEST MINDS is a combination of a dystopian world with paranormal abilities. We see the dystopian in the fact that the US is falling apart, broke and falling to shambles especially after the disease strikes the nation that takes the lives of most of America’s children. The ones who survive have been ones whose brains allow them to use incredible abilities of all kinds, one of which is our heroine, Ruby. 3.28% "Page 16 and I'm hooked"